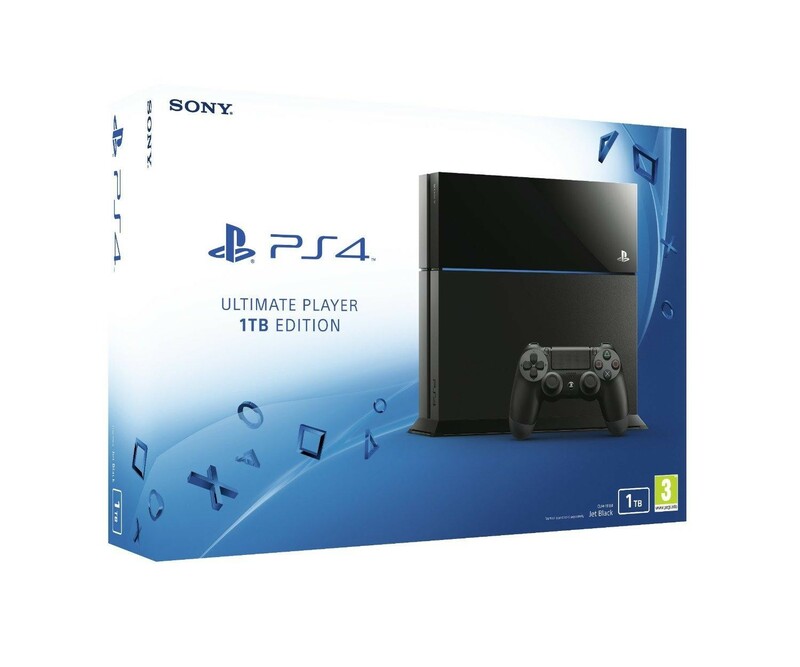 Enjoy the quality Console the gaming world has to offer and game in style with the Sony PlayStation 4 CUH-116B Ultimate Player Edition 1TB Hard Drive. The Playstation 4 Ultimate Player Edition truly is the next level of gaming, with all the superb features of the previous PS4 Console with a massive storage space of 1TB, which means you can have much more on your Playstation than you ever could before, whether its games, tv, movies, or apps, the large Hard Drive has you covered. The Playstation also has a massive library of Games to choose from, ranging in all ages and all different styles of gameplay, and for those who want to try something a little bit different the Playstation also has a very extensive collection of Indie Games, which all offer a nice change from your typical blockbusters. The Intuitive Network of the PS4 works by curating the content that you use the most, which lets you see any updates, DLC, and extra content for that paticular game. The Built in Blu-Ray Disc Player is great for watching movies in amazing quality, and with Backwards Compatability, you'll be able to play all of your old favourites from the Playstation 3.